Paul John demonstrating Maul and Wedge. 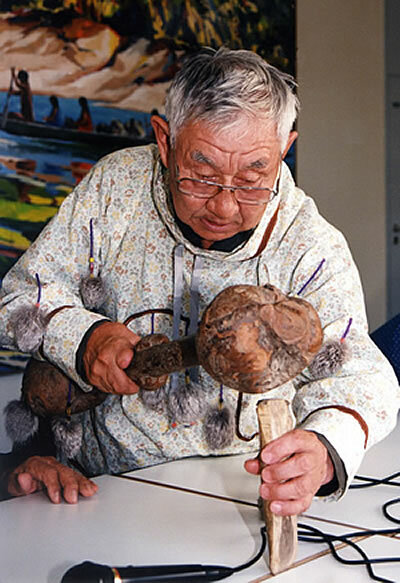 Paul John using a wooden maul and bone wedge. Engraving Tool from Rasboinsky. 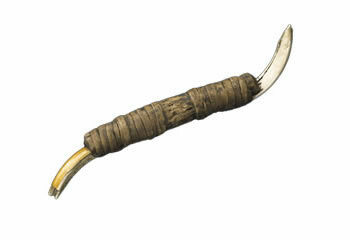 Many men still carry a beaver tooth with them to sharpen their knives. 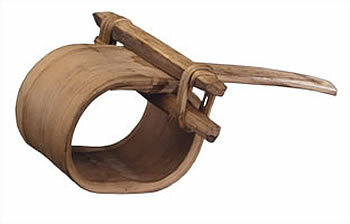 Spruce-root clamp holding a partially constructed dipper. Peter John said: "Those who bent wood couldn't be without a clamp. They would seal it with a little bit of nose blood, and even if it opened they could put it back in position, and it would stay that way when the clamp was removed." 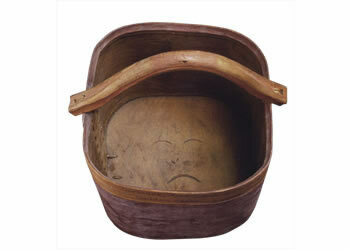 Bentwood bucket from Nushagak, with a woman's face carved on the inside bottom. 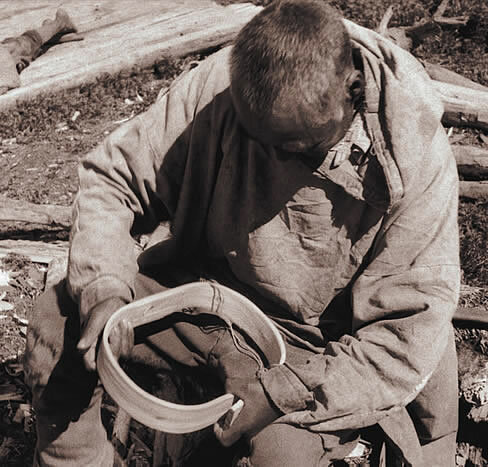 Carver bending a spruce strip to form the rim of a bowl.